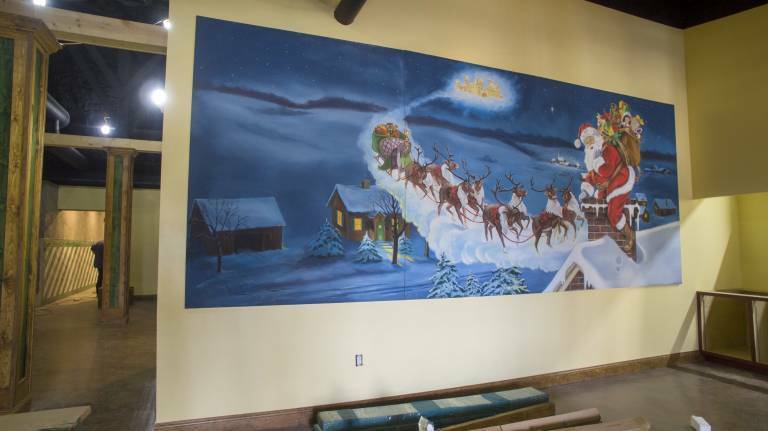 Home // HoliBlog // Whatever happened to the Santa murals? 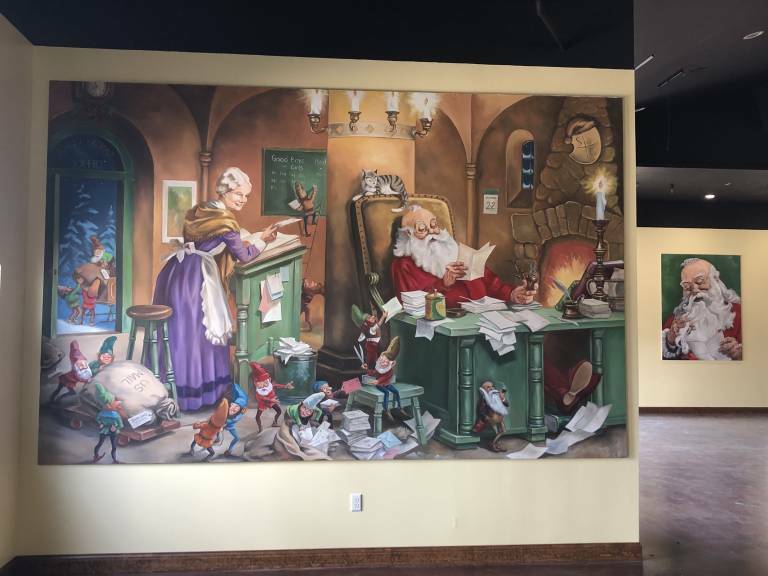 Sort of looks like a Santa Claus Art Gallery, doesn’t it? The murals, which originated in 1991, were carefully preserved over the winter months. It’s time, though, for them to claim their space in Santa’s Merry Marketplace. I’ve got to admit, we were stunned by the many accusations that we’d abandoned these works of art. Another question asked with great emotion all winter concerned our pizza. We weren’t at all surprised to learn you loved Kringle’s Pizza. But we couldn’t quite fathom that some might think we’d throw out the recipe along with the murals! What else will we serve in Santa’s Merry Marketplace? Let’s see … Pizza & Pasta, Asian Cuisine, American Grill, Deli Sandwiches, and Kids Favorites. Here’s the full menu. And all of this deliciousness will be surrounded by Santa artwork. 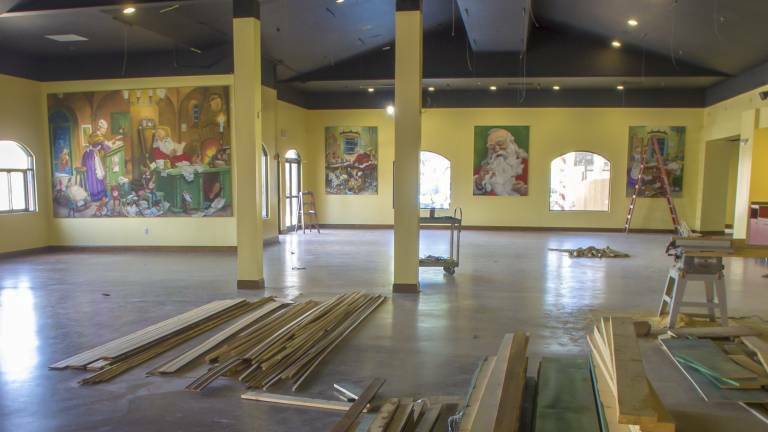 Santa’s Merry Marketplace will be ready to go for Opening Day, May 4. 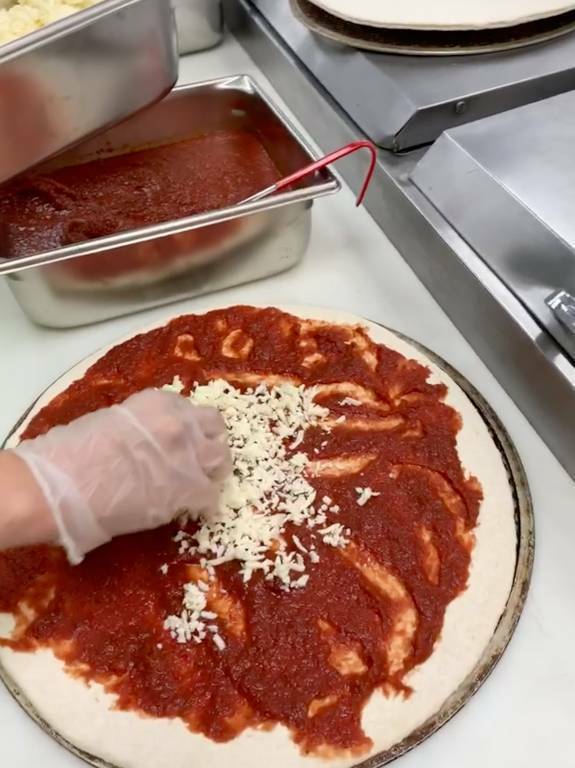 Whether it’s pizza you’re craving of some General Tso’s Cauliflower Bites, we’ll be ready!